The team here at Mahwah Honda shares many values with the Honda family: quality, performance, style, comfort, and the list goes on. Another area where we agree no compromises should be made is in safety, and Honda continues to offer the most advanced features in automotive safety on the market. Take a look at the latest innovations to keep you and your passengers safe out on the roads. Advanced Front Airbags (i-SRS): These airbags can deploy to different levels depending on the severity of the impact, ensuring optimal protection and reducing airbag-inflicted injuries. SmartVent® Front Side Airbags: These airbags protect occupants in the event of impacts to the side of the vehicle, and they can vent before fully inflating, decreasing the likelihood of an airbag-related injury. Side Curtain Airbags with Rollover Sensor: Sometimes accidents don’t take the form of direct collisions. In the event of a rollover, these side curtain airbags can deploy to protect occupants from ejection. 3-Point Seat Belts with Automatic Tensioning System: In the event of a collision, these “smart” belts sync with the i-SRS airbags to automatically adjust tension, increasing the effectiveness of the airbag deployment. Advanced Compatibility Engineering™ (ACE™) Body Structure: This Honda-exclusive body design uses a network of front frame structures to absorb and deflect the energy from a frontal collision, reducing the force transferred to the cabin (video below). Your modern automobile from Honda also offers a suite of semi-autonomous active safety features that are always at work while you drive. 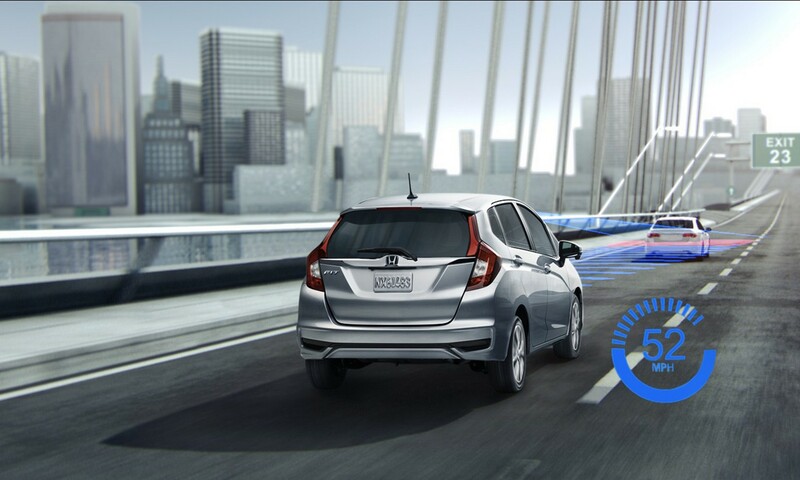 The brand-exclusive Honda Sensing® suite uses input from the vehicle’s external cameras and sensors to virtually “see” the road and detect potential hazards in all directions. The vehicle’s onboard computer analyzes the input with an advanced algorithm to determine how to react in fractions of a second. Some of these will respond with audible and visual warnings, and some of these can even take control of the vehicle to avoid collisions before the driver has time to react. Auto High Beam Headlights: When the high beams are activated, your vehicle will use a front-facing camera to sense oncoming traffic and temporarily dim the headlights until the oncoming traffic passes. Rain-Sensing Windshield Wipers: Automatically adjusts wiper speed to match the severity of the rainfall detected on the windshield. 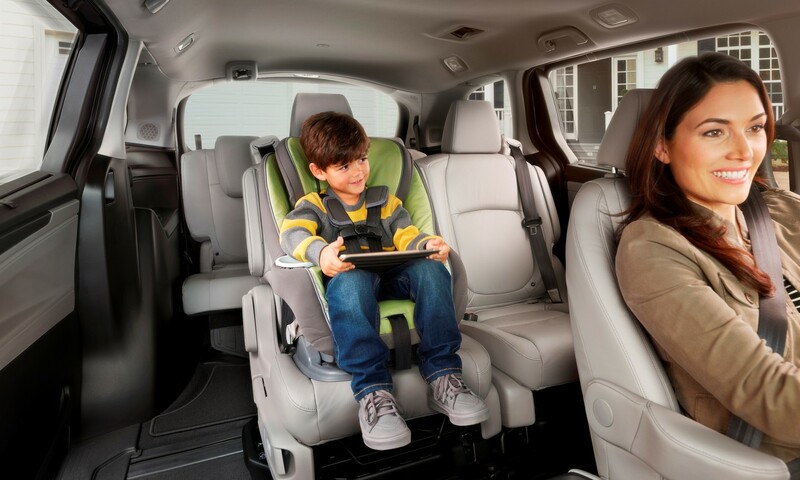 It can be risky out there on the roads, but these latest safety features from Honda are committed to keeping you and your most precious cargo safe while you travel. To learn more about these and all of the other state-of-the-art features you can enjoy in any one of our new models, visit the Mahwah Honda showroom at 345 Route 17, Mahwah, NJ 07430 or contact a member of our sales team online. 1 CMBS cannot detect all objects ahead and may not detect a given object; accuracy will vary based on weather, speed and other factors. System operation affected by extreme interior heat. System designed to mitigate crash forces. Driver remains responsible for safely operating vehicle and avoiding collisions. 2 Road Departure Mitigation only alerts drivers when lane drift is detected without a turn signal in use and can apply mild steering torque to assist driver in maintaining proper lane position and/or brake pressure to slow the vehicle's departure from a detected lane. RDM may not detect all lane markings or lane departures; accuracy will vary based on weather, speed and road condition. System operation affected by extreme interior heat. Driver remains responsible for safely operating vehicle and avoiding collisions. 3 ACC cannot detect all objects ahead and may not detect a given object; accuracy will vary based on weather, speed and other factors. ACC should not be used in heavy traffic, poor weather or on winding roads. Driver remains responsible for safely operating vehicle and avoiding collisions. 4 The system is not a substitute for your own visual assessment before changing lanes. BSI may not detect all objects behind or to the side of a vehicle and may not detect a given object; system accuracy will vary based on weather, size of object and speed. Driver remains responsible for safely operating vehicle and avoiding collisions.